We'd love to chat, so Tweet us or send us an email (support@brandmentions.com). 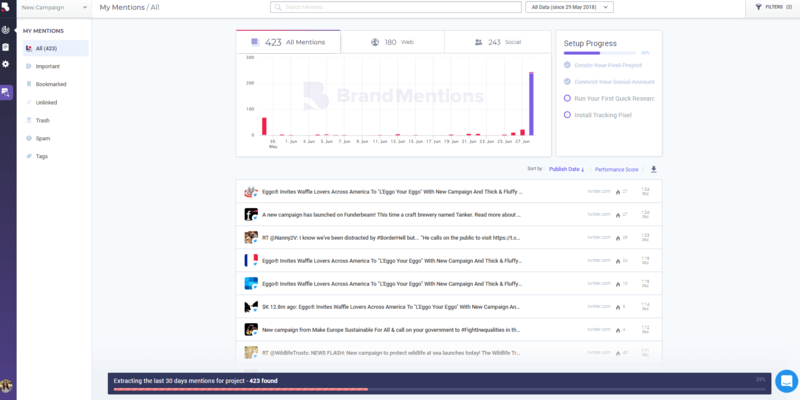 After you set up your project, BrandMentions will show you some of the mentions it collected. 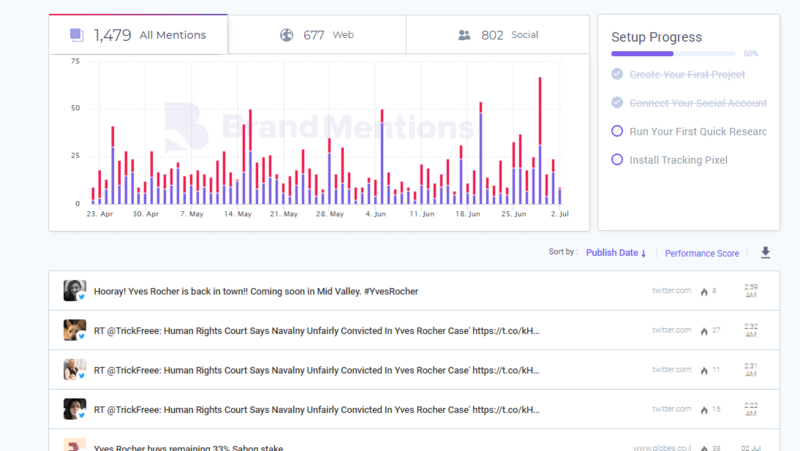 On Dashboard you can see historical data about your mentions. Depending on the package you have chosen, you can have access for up to two months, one or five years of mention historical data. 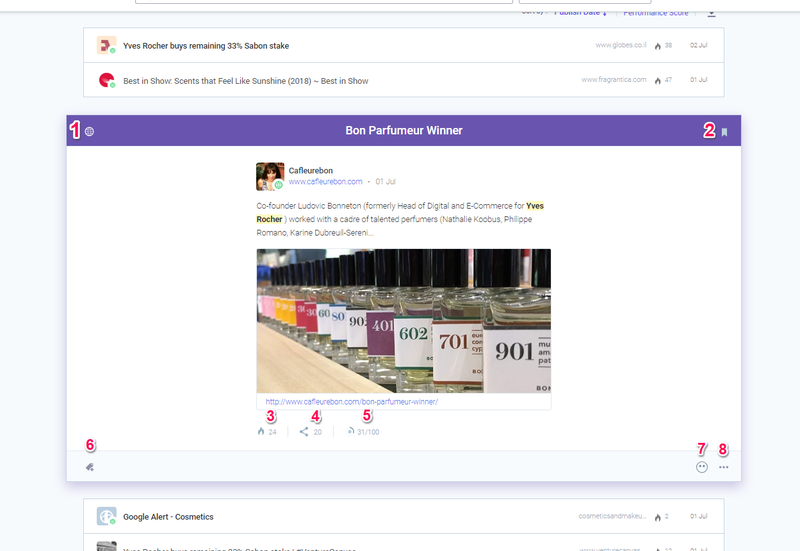 See all mentions or look a the web mentions or social mentions. Click on the mention from the list below the graph for more details. Look at the print screen below to see what type of available data has each mention. Add a bookmark tag to mentions that are important to you and want to review them separately afterward. Performance score: BrandMention’s score shows how important a mention is. It is calculated based on the total number of shares and the page’s domain influence. Add a specific tag to mentions that a part of a third-party campaign, or advertising, or anything else that you desire. Mark as not linked: the mention you are following doesn’t have a link attached to it. An example is represented in the print screen below. Mark as spam: weird, not related mentions. Delete: from here you can remove all the mentions that are not relevant or you don’t want to track them anymore. Make sure you delete them from Trash also. 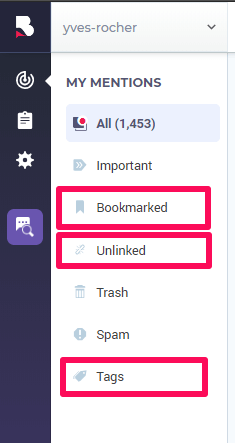 Mentions that are tagged, bookmarked or unlinked will appear in different categories that can be very easy to access from the left menu. 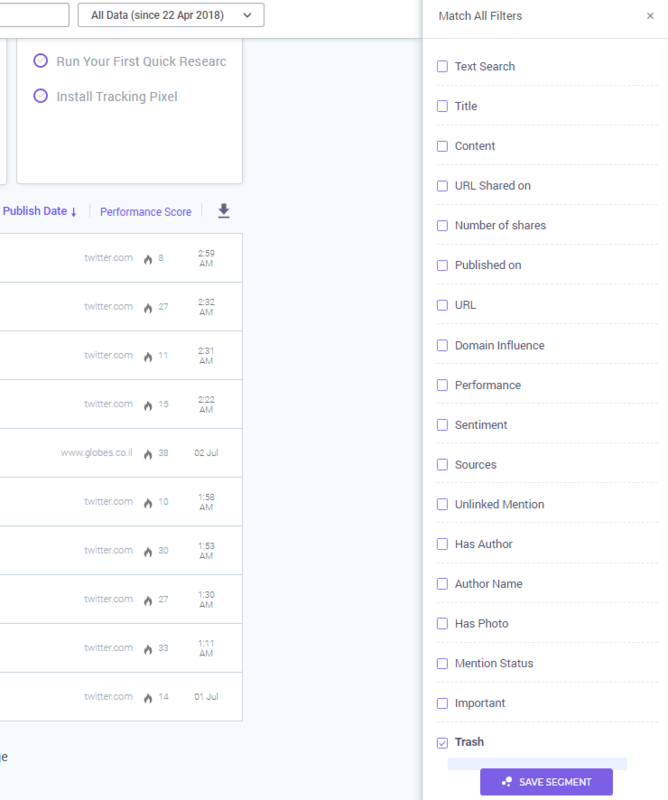 Sort by the publish date, Performance Score. New setup steps: run your first quick research, install tracking pixel (which will talk more about in the Project Settings). You can apply multiple actions to your mentions if you decide to do that in bulk. There are lots of other ways to review your mentions by creating filters and generating segments. After you apply the filters, don’t forget to click on the button Save segment. 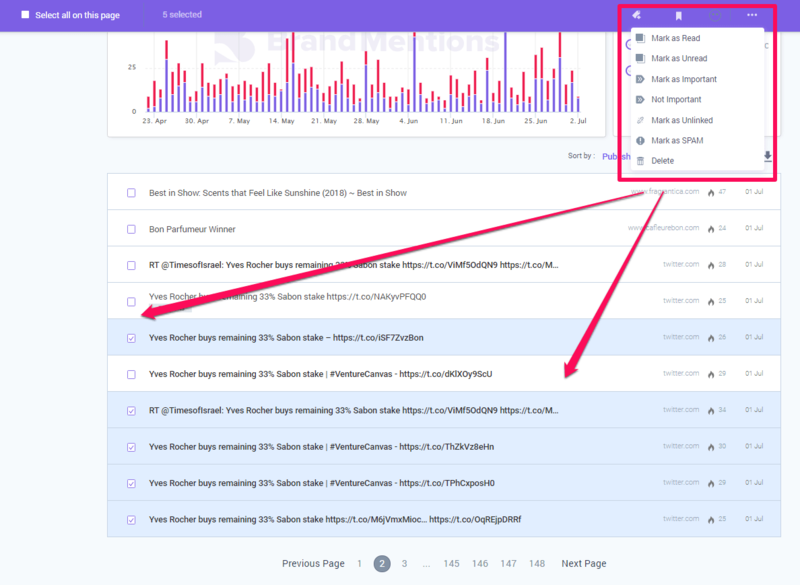 Doing so, you’ll get access to mentions related to a specific segment. © BrandMentions 2019. All rights reserved.